Access to affordable healthcare continues to be a critical issue because of the rising cost of medical services and long-term care in the United States. While Medicaid offers healthcare for low income individuals and families, the qualifying criteria, procedures, and benefits can be confusing. If you are a senior who needs long-term care, managing your assets to avoid financial disqualification from Medicaid benefits can be a challenging issue. This blog focuses on Medicaid for Florida residents who are at least age 65 or disabled individuals with concerns about long-term care whether in their home, an assisted living facility, or a nursing home. Please visit our Medicare Planning page for more information. Although Medicaid is a federal assistance program, theadministrationof the program is left to the states. The program offers options to assist individuals who qualify financially with ways to afford long-term care along with providing access to other healthcare benefits. The program is means tested, so strict financial requirements must be met to be eligible for these healthcare benefits. The Medicaid managed care program that furnishes long-term care services for the elderly and disabled is referred to as the Long-Term Care (LTC) program. What are the alternative long-term care Medicaid programs in Florida? Standard Medicaid/Aged Blind and Disabled: This benefit is an entitlement, which means that anyone who meets the qualification criteria will receive this form of assistance. This entitlement can be provided in the home or at an adult daycare facility. Nursing Home Medicaid (Institutional): This benefit also is an entitlement that is provided exclusively to individuals in nursing homes. Medicaid Waivers/Home and Community Based Services: This benefit can be provided for qualified individuals whether on an in-home, adult daycare,or assisted living facility basis. However, the program has limited availability. What are the income limits in 2018 for these long-term care programs in Florida? Why do I need Medicaid planning for long-term care? Spousal Asset Transfer: When one partner in a marriage needs institutional Medicaid (e.g. 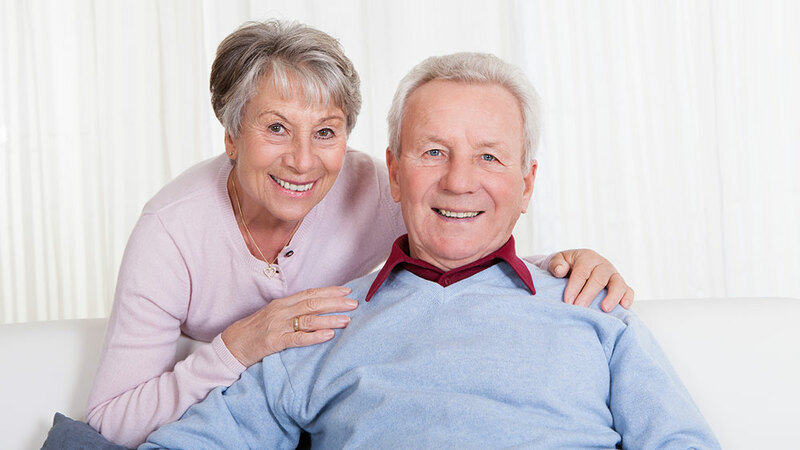 nursing home care), the law provides financial protections to financially protect the other spouse. The spouse who would be living outside the nursing home was allowed a maximum of $123,900 in countable assets (in most states) in 2018 while the spouse in need of care was only allowed $2,000. Assets that include mutually held assets can be retained by the healthy spouse to reduce the marital partner’s assets below the Medicaid eligibility level. Spending Down Excess Assets: Qualification for Medicaid long-term care might be accomplished by spending on home improvements or modifications, medical devices not covered by insurance, or paying off credit cards or a mortgage. However, assets cannot be given away or sold off substantially below market value because this can be considered a fraudulent transaction and trigger a period of Medicaid ineligibility. Irrevocable Funeral Trusts: If a person has excess countable assets, $15,000 ($30,000 for a married couple) can be transferred into an irrevocable funeral trust. This strategy also shields loved ones from the financial challenge of paying for a burial. Many alternative arrangements might sound similar but do not qualify as exempt from Medicaid, so you might want to consult with a Florida Medicaid long-term care planning attorney. Miller Trusts (Qualified Income Trusts): Unmarried parties or individuals whose income exceeds the minimum monthly maintenance needs allowance (MMMNA) might utilize a Qualified Income Trust (QIT), which also is referred to as a Miller Trust. The MMMNA refers to the amount the healthy spouse may maintain in income per month. Because joint income can be included in this amount, the spouse seeking Medicaid long-term care benefits can have his or her countable income lowered. Underthis approach, income that exceeds the MMMNA can be placed in the trust. The funds generally are used to pay for medical care and healthcare expenses. Because the state often receives the money after the Medicaid long-term care recipient dies, this strategy usually only involves depositing a few hundred dollars per month. Frequently, directly depositing this money into the trust can result in receipt of thousands of dollars in long-term care each month. Spousal Income Transfers: This strategy is like a Spousal Asset Transfer except that it applies to income. Since the healthy spouse may maintain income up to the MMMNA limit ($3,022.50 per month in income in 2017), joint income may be allocated to the healthy spouse to lower a Medicaid applicant’s income below the income eligibility threshold. Javier Centonzio and our knowledgeable Medicaid planning team will carefully evaluate your situation to craft the best strategy for ensuring that the assets that you have acquired over your lifetime are protected when you face the financial challenges associated with long-term care. Even if you think that you do not qualify for Medicaid long-term care because of your income or assets, our Medicaid planning law firm can use techniques like those above or others to help you meet eligibility requirements. Some of the strategies listed above cannot be used in certain states. When creating a trust or employing other strategies like spending down assets, sound legal advice can prevent missteps that could compromise your eligibility or threaten the income and assets your spouse needs to continue living in your family home. If you have questions about Medicaid planning or long-term planning issues, we invite you to contact us at 727-900-7290 to discuss your situation.